Made in Italy. 2008. 300 watt. Tube preamp + Tube power. Futuristic onboard microprocessor re-biases your tubes every time you start up the amp, allows you to customize your bias adjustments, and tells you if and when any tubes need to be replaced! Excellent condition. 100 Watt Solid State Bass Head! Sound AMAZING! Great Marshall Bass tone! Made in the UK, 1980's. 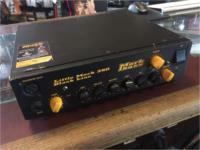 500 watt bass amp head with class A valve preamp. Made in the USA. 400 watts @ 8 ohms, 750 Watts at 4 ohms or 975 Watts at 2 ohms. Mounted in an attractive after market wooden rack case. For if you want a massive bass sound and have a cab to match. 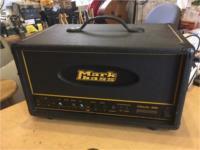 400 watt bass head w/manual, speaker cable, spare fuses. 500 watt @ 4 ohm. Bass head. Six stage tube preamp paired with the same high current analog power amp utilized in the RB Series. Warmth of tubes combined with a quick, punchy power section. Motorized controls which allow you to store two different settings that can be recalled via the footswitch. w/- Footswitch(with lead), manual and Rack case. 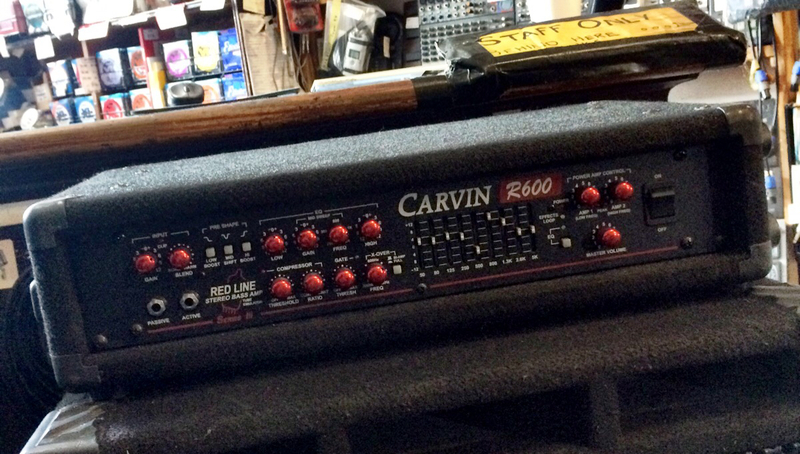 Redline Series II R600 Bass Head- Made in the USA! 600 Watt Bi-Amplifier - 600 Watts bridge into 4Ω, or 250 Watts at 4Ω per channel in Bi-Amp Mode. Built in Compressor, Crossover and Graphic EQ. 427 watts ALL VALVE bass head. Warm and shiny! Running ECC83 preamps and 8 (yes, EIGHT!) KT88 power valves. 2,4 and 8 ohm outputs. High and Low gain inputs, front panel-mounted Effects Send and Return, rotary Bass, Middle and Treble controls with Mid Shift, Bass Shift and Bright switching, Mute switch, rotary Gain and Master volume controls and balanced DI output with Pre/Post EQ switching. Integrated Bass System (IBS). 200 Watt. Circa 1984-1993. Just serviced by Soundworks. 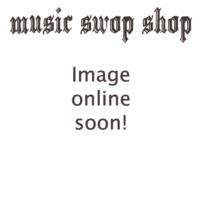 Enter your email address below to get alerts for Bass amps - heads.